I was first introduced to the wonders of Swindon many years ago through Jasper Fforde’s delightful Thursday Next series. There were airships, migrations of mammoths, and kickass literary adventures to be had in this enchanted town off the M4. Having worked in Swindon for over two years, I can say with a great deal of confidence that Mr. Fforde was exercising not only his imagination but also his irony. Many of the parts I’ve seen of Swindon are an example of how sacrificing aesthetics and planning for rapid growth can perhaps lead to short-term gains but long-term chaos. A common joke where I live in Chippenham: At least we’re not Swindon. And yet I found myself Swindon bound on my day off to continue walking. After our previous (mis)adventure on the Biddestone to Lanhill trail, MrElaineous and I decided to play it safe and stick to an actual park. After all, the chances for overgrown routes, barbed wire, and ankle deep mud seemed slim. I had been to Lydiard a few times before; indeed, one of my first blog posts was inspired by my time there. However, I never had the opportunity to explore beyond sight of the house before, and it was all new territory for MrElaineous. 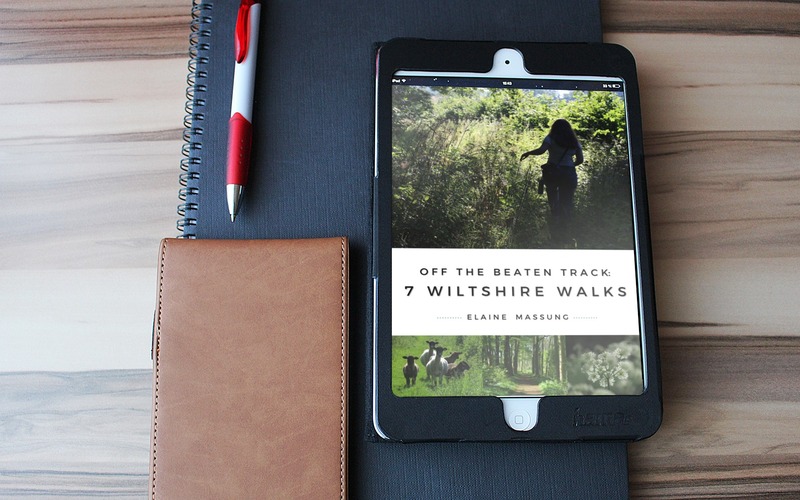 Using another of our new walking guides, I copied the directions and we set off … only to stumble at the first hurdle of finding the right path. The landmarks and references in the book bore no semblance to what we were encountering on the ground. After walking around the house and circling the car park a few times, we started off in what we thought was the correct direction and eventually seemed to fall in line with the guidance. There was, I admit, fewer things of interest to see compared to our usual country walks, but the path was blessedly free of brambles and nettles, and allowed us to walk for the sake of walking. The things we did see—the texture of the landscape at the height of summer, dramatic changes in the sky as clouds rolled by at a rapid clip, and the diving and darting of swallows—could not easily be captured on camera. As we neared the end of the walk, we solved the mystery of the directions: we had started in a different car park than the guide referred to. Indeed, I discovered that there was a completely new half of the park that I was unaware of, and it certainly encouraged me to look at Lydiard, if not Swindon, in a new light. We enjoyed a slice of cake near the walled garden before embarking for a walk of a different sort: a shopping trip around the local outlet mall. I only wish I had kept the recording app going as I think it doubled our daily distance!